Get notified when New York Yankees tickets are available! The New York Yankees are one of the most beloved teams in Major League Baseball. Established in 1901, the team plays in the East Division of the American League. 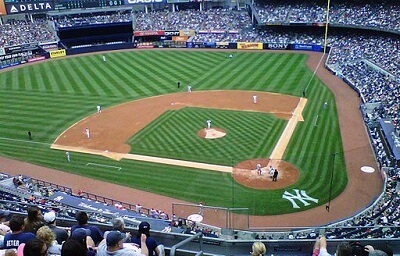 To watch the New York Yankees play home games, come to Yankee Stadium, which is situated in The Bronx. The ballpark opened in 2009 and replaced the team’s previous stadium which was also called Yankee Stadium. Portions of the stadium have been designed to capture the details of the previous stadium giving the building a retro feel. You can check out the stadium and watch the Yankees play by purchasing New York Yankees tickets online.